Myra was born in Huntingburg, Indiana, on June 16, 1947, to Christian and Ocie (Powers) Braun. She married Wayne Traylor on May 23, 1964, at Otwell Methodist Church. Myra previously worked at Leed's Selling Tools for 16 years, she then retired from Memorial Hospital in February of 2017, in Jasper, Indiana, where she had been a registration clerk for 16 years. She considered her work family like her own. She was a member of Traylor Union Church of God in Otwell. She enjoyed cooking, especially the Thanksgiving meal, playing cards, and spending time with family and friends. As the baby of nine children, she could never have enough people around her. Surviving are her husband, Wayne Traylor, Otwell, IN, one daughter, Tina Marie Esarey, Clarksville, IN, three grandchildren, Daniel, Hannah, and David Esarey, two great grandchildren, Eli and Delaney Esarey, one sister, Mary Braun, Lancaster, OH, one brother, Russell (Sherry) Braun, Petersberg, IN, and several nieces and nephews. Preceding her in death besides her parents, are three sisters, Margaret Gordon, Martha Sue McCaslin, Madonna Bush, and three brothers, Roy L., Richard, and Ronald Braun. 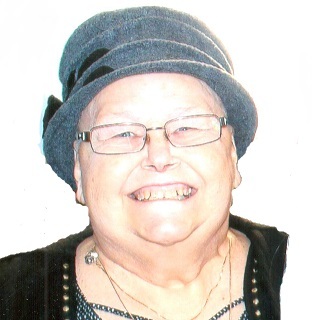 A funeral service for Myra M. Traylor will be held at 10:00 a.m. on Friday, April 5, 2019, at the Becher-Kluesner North Chapel in Jasper, with burial to follow in Otwell Cemetery in Otwell, Indiana. Pastors Dennis Patton and Craig Line will officiate. A visitation will be held from 2:00-8:00 p.m. on Thursday, April 4 , 2019 at the Becher-Kluesner North Chapel in Jasper. Memorial contributions may be made to the wishes of the family.